Divine Flavor’s growers leave our handpicked seedless grapes on the vine longer, ensuring consumers experience the highest quality possible. 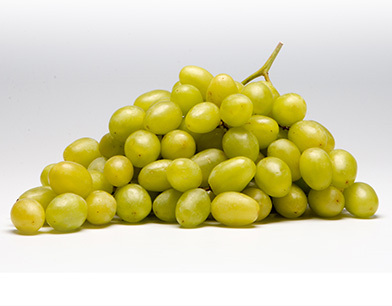 We start the season with Perlette, a frosty green, sweet grape offering a burst of flavor with every crispy bite. Our wonderful Sugraone varieties are long time consumer favorites for their bright green color, fruity aroma, and consistent rich flavor. Both varieties are great for snacking or healthy desserts, or to enhance the flavor of traditional chicken and pasta salad recipes.